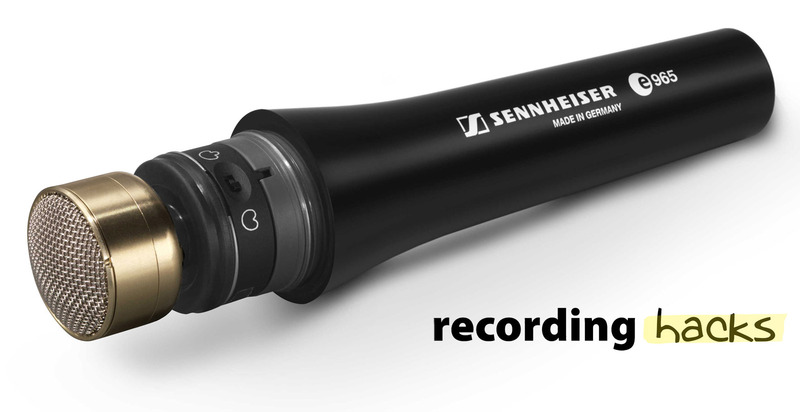 The e 965 is Sennheiser’s first large-diaphragm handheld vocal condenser. It is also one of the only multipattern condensers in this form factor that we have seen. 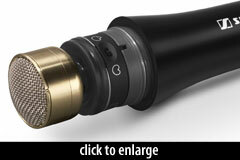 The mic’s capsule is a one-inch, true-condenser design. Its polar pattern is switchable from Cardioid to Supercardioid; the Supercardioid is narrower, offering slightly better side rejection plus deep nulls at ±120° at the expense of 5–10dB reduced rear rejection at 180°. The pattern switch is located on the capsule mount, beneath the removable grille. Two additional switches control a high-pass filter (-6dB/octave @ 150Hz) and -10dB pad. The mic ships with a clip (MZQ 800) and storage pouch. 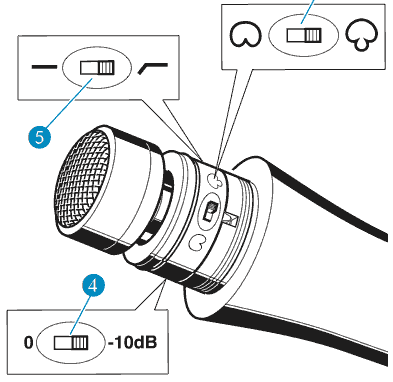 The Sennheiser Electronics Corporation e 965 is also known as: evolution 965, e965.